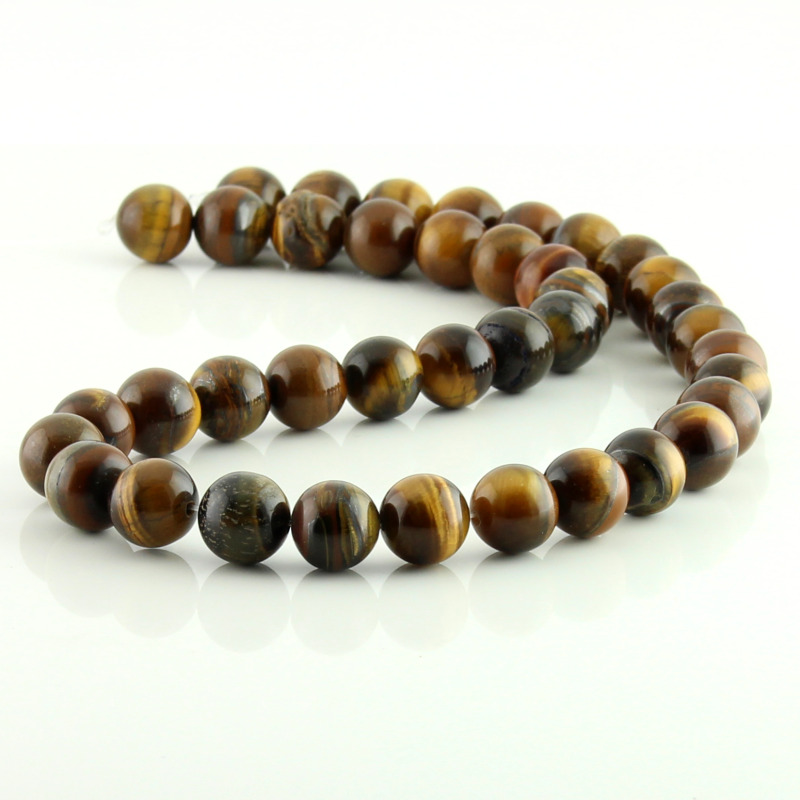 Natural tiger eye round beads. 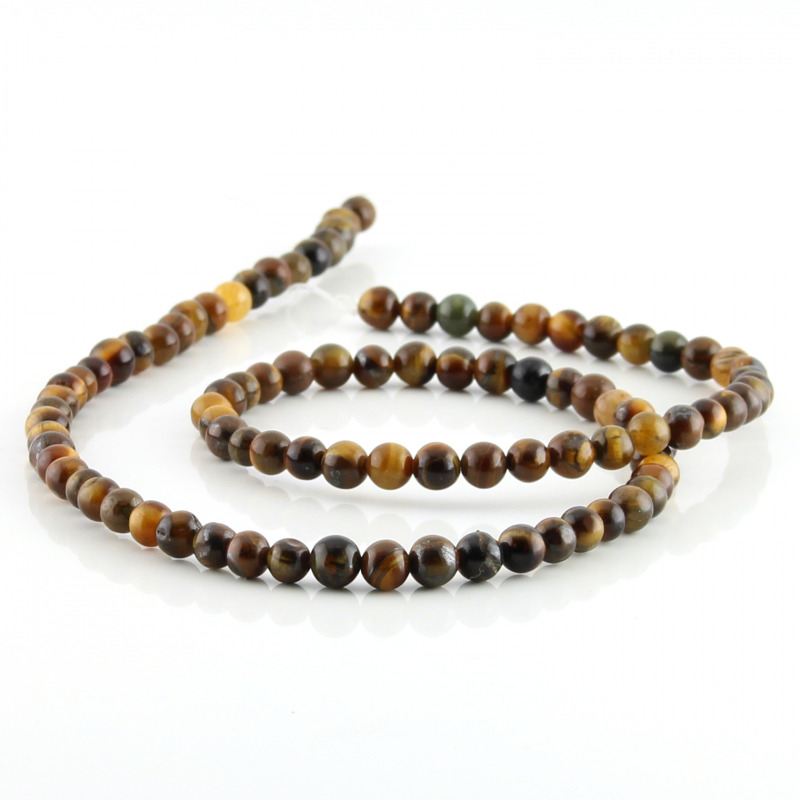 Tiger eye beads are enfilades on strands of 40 cm. 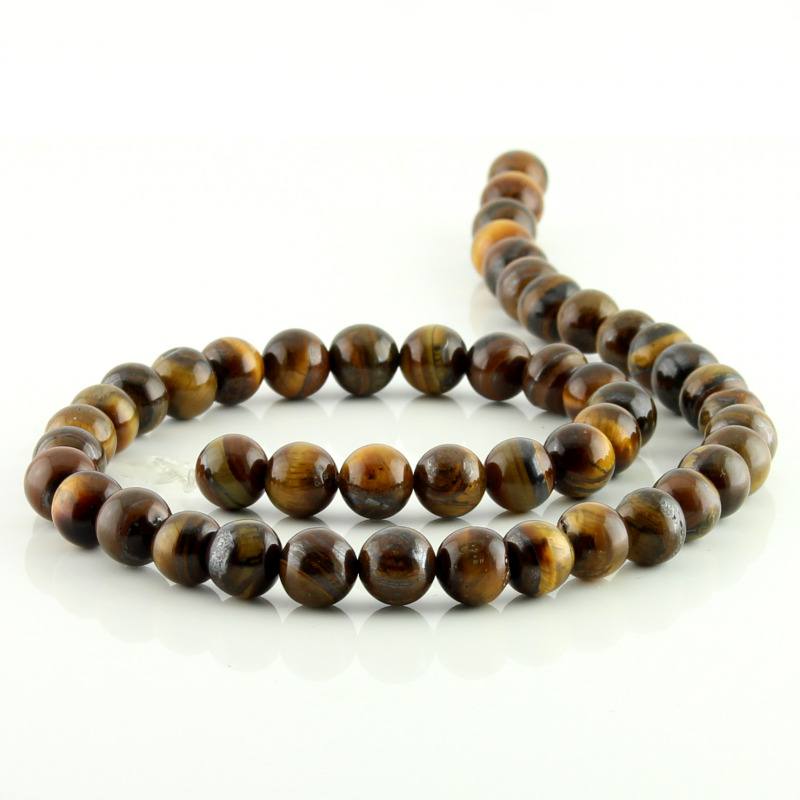 The tiger eye round beads are holed and available in different sizes. 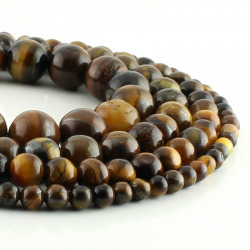 Tiger eye is a semiprecious stone often used to assemble jewelry. Presents brown coloration with golden yellow iridescent hues that visually dominates the dark shades. This optical effect is natural in tiger eye gemstone and resembles the iris of a tiger.